A one-stop solution for IoT device management, cloud infrastructure and data visualization! Maximize the use of your on-site sensors and surveillance cameras. Increase your work efficiency, reduce your costs and maximize sales revenue by utilizing functions such as customizable screens and document forms. KDDI IoT Cloud Standard supports your business’s efficiency, cost cutting and sales growth. Enjoy peace of mind as your important data is transmitted on a secure network and benefit from the flexibility of support for observation cameras and various sensors, as well as a highly customizable display. 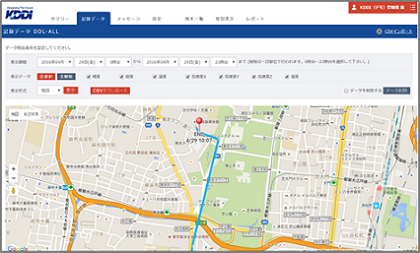 Support for sensors and surveillance cameras allow KDDI IoT Cloud Standard to be used for a variety of purposes. Screen layout customization and output of data in report form supports helps you increase work efficiency, reduce costs and increase sales. Not only sensors for temperature, humidity and position, but those for a variety of data including vibrations, sound,liquid flow, sound and human presence detection are supported. Massive amounts of real-time imagery from observation cameras can be viewed without slowdown thanks to optimization for mobile connections. Output formatted daily and monthly reports of your data, and customize the screen layout to your liking. By collecting data from GPS sensors, you can view the current positional information of tracked movement as well as the paths of past movement. Multi-language support on a per-device basis expands the range of usage scenarios. 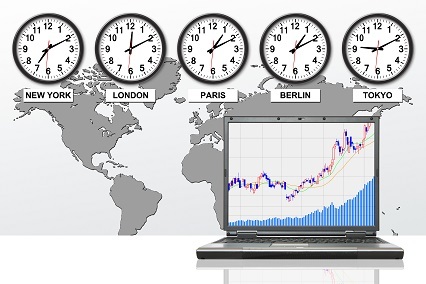 Customers with overseas branches can benefit by browsing, searching and comparing data using different time zones. This course is suitable for storing data logs such as those for analog surveillance monitoring or network contact point monitoring. Features powerful graph and map functionality. This course is suitable for storing images from surveillance cameras. Includes convenient management functions such as searching past images and an image comparison function. Keeps a venue under safe watch such as concert halls or other locations. Secures the facility located in a remote area by constantly checking on its status. Expands your current security capabilities for your offices or reception areas. Keeps an eye on rivers to monitor water level as flood detector. KDDI provides support both before and after installation of our services. 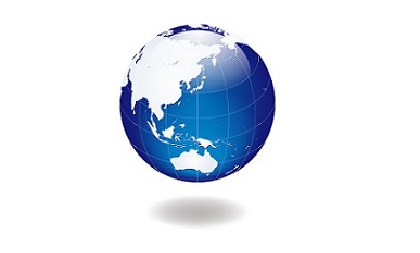 Our presence globally enables us to support you wherever you are located to your Japan Headquarters and to your international offices in the local language. You can choose to manage all your affiliates’ contracts as one single international contract with Headquarters, or contract separately with each office around the world. We will work flexibly to fit your business needs and your budget.